Imagine Rev. Bonnie bringing your name into her daily prayer practice. Each morning engaged in her complete spiritual practice; words of Truth will spoken for you. After meditation Rev Bonnie transitions into powerful affirmative prayer; steeping herself in the Field of Divine Love. Then she begins a mala practice. She will speak your name with a Statement of Truth upon each of the 108 strung beads. Your name along with Truth every day. Similar to the Rosary, the Mala is used to repetitively speak intentional Affirmations. 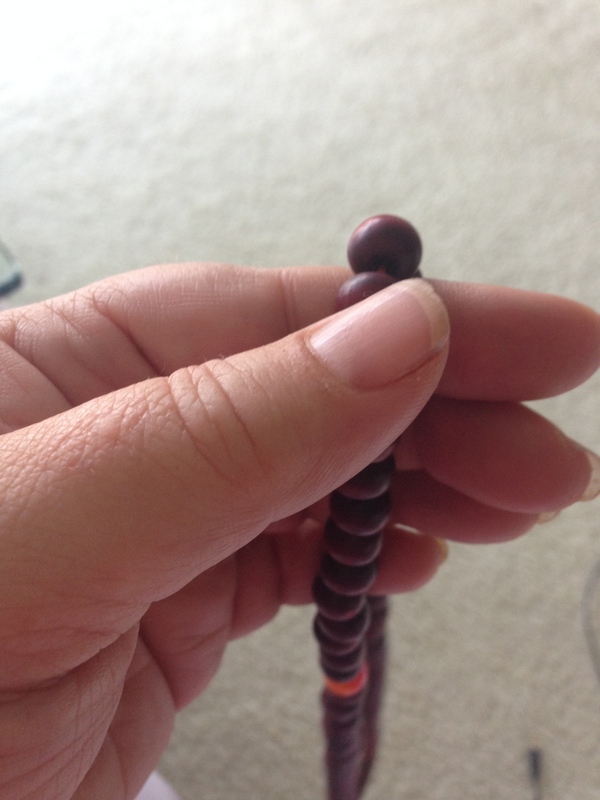 “I incorporated the Mala Beads into my daily spiritual practice to spice it up a bit. I loved it immediately. The Hindu’s believe that names hold within them the very nature of the individual they are representing. There is a tonal, energetic and mystical quality to my name and to your name. Your name will be included into this delicious daily practice and Rev. Bonnie will email you the Statement of Truth for the day so you can join in on this daily practice should you desire. If this is of interest to you, register below to begin. The fee for one month is $125, less than $5 per day.